The tower housed a 16,000 gallon water tank that was visible throughout the park. 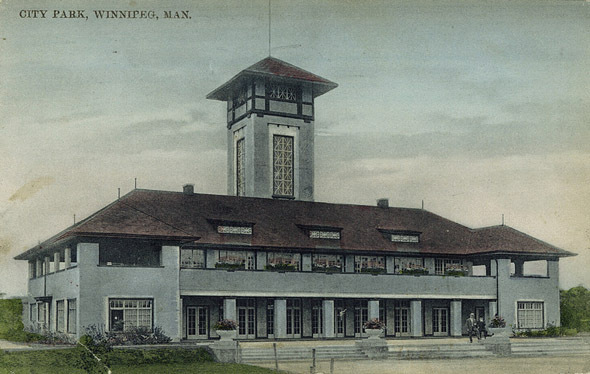 Built at a cost of $19,000, the pavilion housed dining and dance halls featured loggias overlooking the park. Immediately behind the pavilion, a lily pond was located beneath a vine-covered pergola. 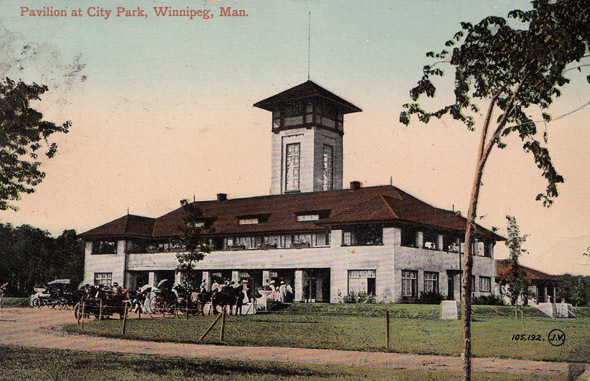 Destroyed by fire in 1929 and replaced by a vaguely Germanic inspired building.